When Ruby McMillan’s husband announces one morning that he’s dumping her for another woman, she’s unable to decide which indignity stings the most: the dissolution of their eighteen-year marriage or the deflation of her white-chocolate soufflé with raspberry Grand Marnier sauce. Without a good-bye to their two teenaged children, Walter leaves Ruby to cope with her ruined dessert, an unpaid mortgage, and her failing bakery. With only royal icing holding her together, Ruby still manages to pick herself up and move on, subsidizing her income with an extra job as a baking instructor, getting a “my-husband’s-gone” makeover, and even flirting with her gorgeous mortgage broker, Jacob Salt. For as long as she can remember, Ruby has done what’s practical, eschewing far-fetched dreams and true love in favor of stability. But suddenly single again at the age of forty-four, she’s beginning to discover that life is most delicious when you stop following a recipe and just live. I liked watching Ruby pick herself up and deal with the hand she was dealt. She grew strong, she took care of her children and she found a new love (I think a little too quickly, but that's me, the logical practical one). There is an non-marital intimate scene but I've read racier ones. I'd like to thank FSB Media for providing a complimentary review copy. Grade: B. Question of the week: What do you plan to do for Advent? My Answer: We always have a Jesse Tree and we have an Advent wreath on our table. I hope everyone had great Thanksgiving. I was with three of my four siblings and my Dad. It has gotten to the point that it isn't unreasonable to wonder if this will be his last Thanksgiving. It has been nice having my daughter home from college. I'm glad she's happy where she is, but I miss her. Not much blogging this week. I have a box of books giveaway and a review of a memoir by a burn victim. My Answer: Of course. I see memes as having two purposes. First, they are writing prompts. 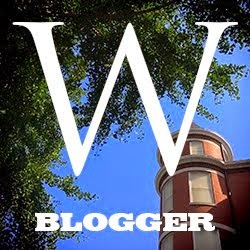 Second, they help create blogger communities and part of that is leaving links for others to explore. In the wake of her husband Andrew's sudden passing, there's nowhere Marin Kane would rather be than back on Cedar Key. Marin plans to run the needlepoint store next to her mother Dora's yarn shop, and settle once more into her tranquil hometown. Then a bombshell arrives: a secret daughter Andrew never revealed to anyone. Now nineteen, Fiona was the product of a summer affair Andrew had when he was out of town teaching--while Marin was home with their two small sons. All Fiona wants is a chance to meet her half-brothers and Marin--and through them get some sense of the father she barely knew. Marin isn't sure she can ever overcome her sense of betrayal. But buoyed by old friends--and a new love--the answers may unfold, guiding both Marin and Fiona to a true refuge at last. When you my age and spend a lot of time reading romance novels you spend a lot of time reading about women closer to your daughter's age than to your age. 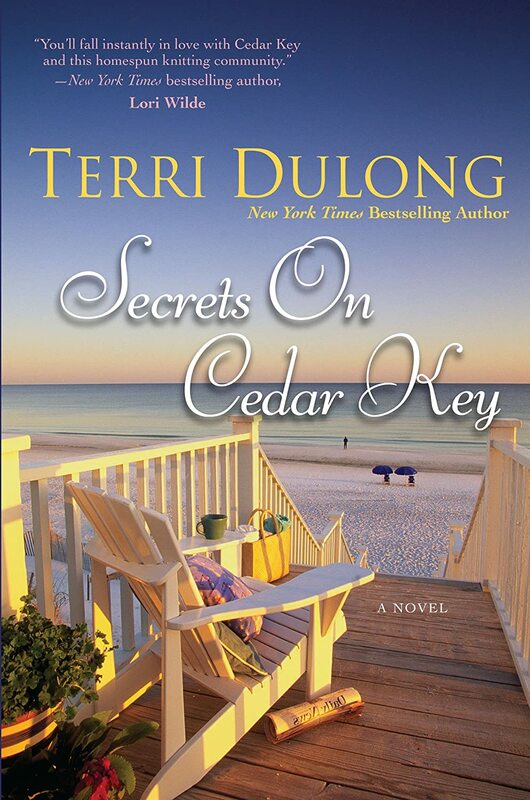 One think I liked about Secrets on Cedar Key is that it was about a woman close to my age; a woman with grown children whose husband passed away unexpectedly. I can't imagine what it would be like to learn many years after the fact that my husband had been unfaithful and had a child without me. I can't imagine what it must be like to know your father is out there and that he doesn't want to be part of your life. I really enjoyed watching Fiona and Marin get to know each other. Marin meets a new man in this book and I really liked him and the way he obviously cared about her. The book is part of series and I haven't read any of the others. 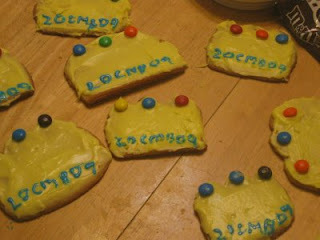 I wondered why all those characters showed up so early in the book and it took me a while to keep them straight. I figured it must be part of a series, and sure enough, it was. There are pre-marital intimate scenes but they aren't terribly graphic. Thanks to the publisher for making a review copy available via NetGalley. Grade: B. To enter, leave a comment saying you want to enter. To earn another entry, share about this giveaway on your blog, on facebook, Google+, Twitter, whatever and leave a comment with link. Drawing will be held on or about December 15. US or APO addresses only. Stephanie Nielson began sharing her life in 2005, drawing readers in with her warmth and candor. She quickly attracted a loyal following that was captivated by the upbeat mother happily raising her young children, madly in love with her husband, Christian (Mr. Nielson to her readers), and filled with gratitude for her blessed life. However, everything changed in an instant on a sunny day in August 2008, when Stephanie and Christian were in a horrific plane crash. Christian was burned over 40 percent of his body, and Stephanie was on the brink of death, with burns over 80 percent of her body. She would remain in a coma for four months. In the aftermath of this harrowing tragedy, Stephanie maintained a stunning sense of humor, optimism, and resilience. She has since shared this strength of spirit with others through her blog, in magazine features, and on The Oprah Winfrey Show. Now, in this moving memoir, Stephanie tells the full, extraordinary story of her unlikely recovery and the incredible love behind it—from a riveting account of the crash to all that followed in its wake. 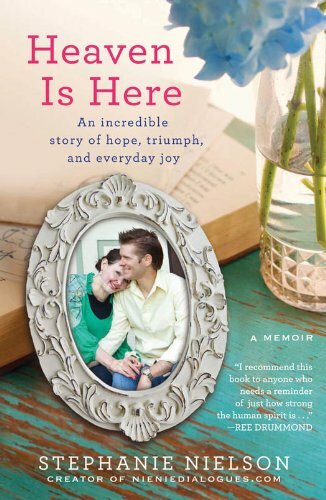 With vivid detail, Stephanie recounts her emotional and physical journey, from her first painful days after awakening from the coma to the first time she saw her face in the mirror, the first kiss she shared with Christian after the accident, and the first time she talked to her children after their long separation. She also reflects back on life before the accident, to her happy childhood as one of nine siblings, her close-knit community and strong Mormon faith, and her fairy-tale love story, all of which became her foundation of strength as she rebuilt her life. What emerges from the wreckage of a tragic accident is a unique perspective on joy, beauty, and overcoming adversity that is as gripping as it is inspirational. Heaven Is Here is a poignant reminder of how faith and family, love and community can bolster us, sustain us, and quite literally, in some cases, save us. Memoirs aren't always my thing. It takes real talent to write one that doesn't get self-absorbed. Stephanie Neilson succeeds. She had a horrific experience and came through it with grace and faith. Neilson is a devout Mormon and talks about the daily aspects of her faith--being blessed by loved ones, listening to Mormon leaders etc. without being preachy or suggesting that others have to join her faith. I definitely recommend this one. Grade: A. Stephanie is a blogger; you can read her writing at Nieniedialogues.com. I'd like to thank my friend Renee for sending me the book. My nest is full again, for a little while, sort of. My college daughter is home for the week; of course she has plans to go here with this one and there with that one, but that's what they are supposed to do at that age. Question of the Week: For what are you most thankful this year? My Answer: For my family, that we are together and safe and particularly that my Dad is still with us and in reasonably good health. I went to two wakes/funerals yesterday for the parents of friends and realize that my Dad's days are numbered, but,as the readings at Mass have reminded us the last few weeks aren't all our days numbered? This week has been a slow blogging week but I did review Walking with Mary, which I recommend. Mary appears only a few times in the Bible, but those few passages come at crucial moments. Catholics believe that Mary is the ever-virgin Mother of God, the Queen of Heaven and Earth. But she also was a human being--a woman who made a journey of faith through various trials and uncertainties and endured her share of suffering. Even with her unique graces and vocation, Mary remains a woman we can relate to and from whom we have much to learn. 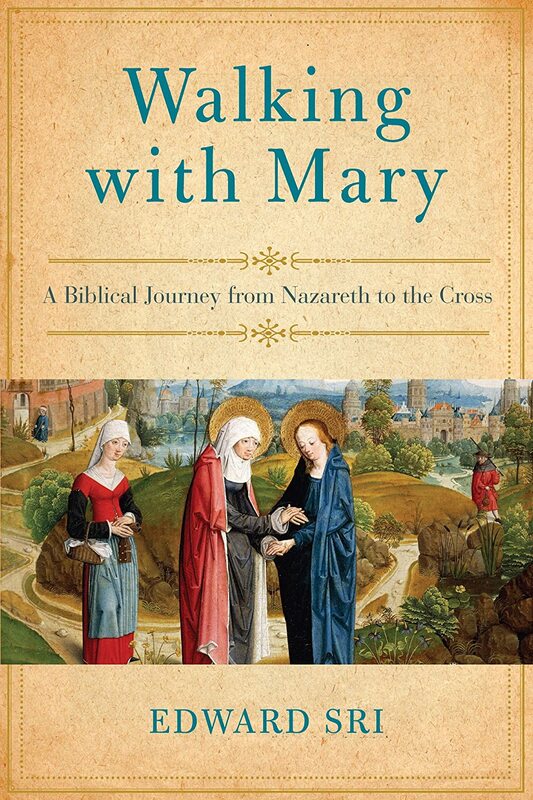 In Walking with Mary, Edward Sri looks at the crucial passages in the Bible concerning Mary and offers insight about the Blessed Mother's faith and devotion that we can apply in our daily lives. We follow her step-by-step through the New Testament account of her life, reflecting on what the Scriptures tell us about how she responded to the dramatic events unfolding around her. One problem non-Catholic Christians have with Marian devotion is that they say it isn't scriptural. This is a book that looks at what the Bible does say about Mary and what it means. Why does Jesus address her as "woman"? What are Mary's famous last words? What are the parallels between the Annunciation, the Presentation and the Crucifixion? One story in the Bible that has always confused me is the Finding of Jesus in the Temple. Why is that story there? Why do we make such a big deal of it, making it a mystery of the rosary? I liked Sri's explanation--that we will have times in our lives when we experience the type of frantic pain that Mary must have suffered when looking for Jesus, and we aren't going to understand all the whys at the time, but God has things under control, even if we don't like them. Question of the week: You won a 5 minute shopping spree from your favorite book store? What will you grab? I'd probably clean out the cookbook section. Cookbooks tend to take up residence here where novels tend to be temporary visitors. 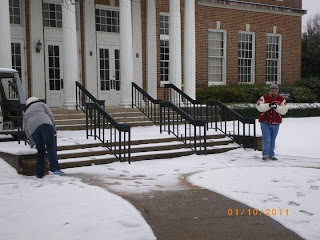 Check out the host post at Coffee Addicted Writer to see what other folks have to say. Hardened rancher Ridge Bowman has long told himself he has no need for love—just work and his little girl are enough to get him through. But when his "cleaning lady," Sarah Whitmore, gets injured on his staircase, well, of course he has to invite her to spend the holidays with him. It's only the responsible thing to do. Only, Sarah isn't really there to work on his house. She came bearing precious artwork belonging to Ridge's late mother, and possibly a secret that could devastate them both. But as Christmas draws closer, so does Ridge—and Sarah convinces herself that she will tell him what she knows as soon as the holiday is over. She might be the key to his past—if only he could be a part of her future…. I've read a bunch of Christmas romances this year, and so far this has been the best of the bunch, which is odd, because I usually prefer longer books than these short romances. Still, Rae Anne Thayne has gotten to be a favorite author so I usually grab her books when they show up on NetGalley. The premise of this one, like the premise of many romance novels, is a little far-fetched, but I really liked both Ridge and Sarah and enjoyed "catching up" with the rest of Ridge's family and celebrating Christmas with them. Like Thayne's other books this one includes some hot kissing but doesn't go beyond that. In short, this is a well-written heartwarming clean Christmas romance filled with snow, a sleigh ride and plenty of hot chocolate around a warm fire. Grade B. (better than I usually give these short formula romances). I've had quite a day; it was our parish craft fair today and I was one of those there until everything was cleaned up and put away. This week's Question of the Week: What religious artifacts (statues, pictures, icons, altars, etc) would I find in your home if I stopped in for a visit? I have two posts in particular I'd like to share with this group. 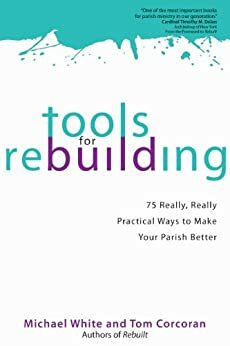 The first is a review of the book Tools for Rebuilding which is a book about revitalizing a parish by reaching out to the unchurched. The second is a post I call "Of Vestments and Golf Clubs" and it talks about one chapter in the book and I'd really love to hear your thoughts on it. I'd like to congratulate Julie on winning the drawing for The First Christmas Night. Yesterday I reviewed this book. Today, I want to talk about a particular chapter in it. In that chapter the authors compared vestments and other "stuff" in churches to golf clubs. They said that while golf clubs are interesting to golfers, and vestments to some churchgoers, golf clubs aren't interesting to non-golfers, and non-churchgoers don't care about vestments and don't start to go to church based on the vestments. I've been pondering that idea. Thinking about golfing, I just checked Academy Sports' website and I can buy a set of nine golf clubs, in a bag, for $99.00. I also checked Edwin Watt's website. I found a putter (one club) for $349.99. Now, to me, a golf club is a golf club, and I'm sure I couldn't tell the difference between the putter in the $99.00 set and the $349.99 version. I'm sure that if I went to play Putt-Putt (the only golf I play) my score would not improve substantially with the expensive club. If you were trying to recruit me to play golf, you'd be better off buying me the $99.00 set of clubs and spending the other $250 on golf lessons and green fees, as opposed to giving me the $350 club. Does that mean that the people who buy $350 golf clubs are wasting their money? I'm sure there are some who are, such as those who put them in the closet and never use them or who have absolutely no skill or talent for golf. However, I'll be willing to bet that professional golfers have clubs that cost a lot closer to $350 each than $99 for a set. The extra comfort, the extra whatever you get with such a club is worth it to them if it knocks one or two strokes off a game or makes it easier to get through all the holes. So what does that have to do with vestments? I agree that vestments and similar "stuff" isn't what is going to convince non-churchgoers to join us, at least in a way they can verbalize. I don't think any non-churchgoer will walk into a church and say "That priest's vestments are gorgeous and obviously expensive works of art; I'm going to start going to church and will be going here". However, those vestments aren't an end in and of themselves; rather they lead us to an end. A priest or parish that values beautiful expensive vestments may just like showing off, or it may be that they see Mass as an expression of their relationship to God and the things used at Mass as an expression of that relationship. Buying high-quality things for use at Mass means they value it, they see it as something out of the ordinary, something worth dressing up for. Does that attract or detract potential members? 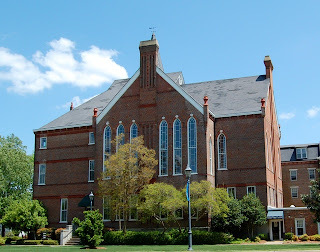 In surfing around the Catholic blogosphere, it isn't uncommon to come across a post about a priest in a metro area who is assigned to a dying parish who revives the parish by adding Latin to Masses and even adding a Mass in the Extraordinary Form to the schedule, as well as making the church interior more formal, more fancy. The post usually includes a statement that the new parishioners include a lot of young families with lots of kids. When I see such posts I often leave a comment asking if the new parishioners were people who were not attending mass or whether they simply attracted other parish's members. I have yet to get a reply talking about all the new churchgoers who have found religion because of all the fancy stuff. I'm sure the pastor who gets all these enthusiastic parishioners who are willing to drive across town to find what they want in a parish will have an easier time balancing his budget and justifying the existence of his parish because of those new parishioners, but has he really accomplished a worthwhile goal? If the existence of that parish keeps those parishioners from beginning (or finishing) the slide to non-practicing Catholic, then I'd say he has. Is it more important to serve the people we have, or to reach out to those who don't attend church? Does that formality attract non-churchgoers? I don't know. Does anyone have any comment about that? Put in golf club terms, if I require you to have $350 clubs to play on my course, and this leads to more people playing my course, I can view that as a win, if I am the golf course owner. If I sell golf clubs, it is possible that this could hurt me. I may be able to talk a non-golfer into buying the $99 set; convincing a non-golfer to buy a set of clubs that are $350 each is going to be tougher. Maybe my course is more successful because folks who don't want to get caught being a bunch of kids with $99 sets join it. If my course becomes "THE" place for serious golfers, that can be good for me, but is it good for the game of golf? In their barn-burning first book, Rebuilt, Michael White and Tom Corcoran shared their story and vision of building better Catholic parishes. Now, in their eagerly-anticipated second book, White and Corcoran lay out seventy-five proven tactics for getting the job done. Fr. Michael White and Tom Corcoran know that the fundamental work of the Church is to evangelize--to introduce people to Christ and make them disciples. Still, they're the first to admit: "the difficulty comes when we reach down into the details and get to work." 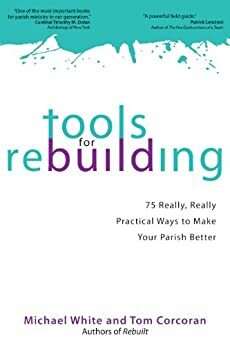 In Tools for Rebuilding, White and Corcoran share seventy-five foundational tactics that helped to rejuvenate their parish. Their candid, hands-on advice gives a clear way forward--one that will make church matter to the people in the pews and that anyone working in parish ministry can implement. I read this book in August, no too long after writing about attracting young families to your parish and about parishes being welcoming. About the same time someone on my alumnae listserve started a thread about churches and churchgoing. In short, I'd spend more than the average amount of time thinking about parish outreach and when I saw this on NetGalley I grabbed it. In short, this book is written by the pastor and a pastoral associate of a large parish in suburban Baltimore. They have adopted many of the programs and models of the Evangelical megachurch to the Catholic parish. While this book does not give numbers to validate its approach, it claims to want to get people in the door and then to move them to discipleship. Tools for Rebuilding is very readable and it uses scripture quotes to defend why things are recommended. The recommendations vary quite a bit from what I often see on Catholic websites and/or blogs about increasing Mass attendance. For one thing, the authors are very pro-church nursery. While the version I had was an ARC and subject to change before final publication, I have to agree with this statement "Where in the churchworld did we develop the idea that we should force our youngest kids to sit through a service that is incomprehensible to them such that they distract everybody around them in the process?" 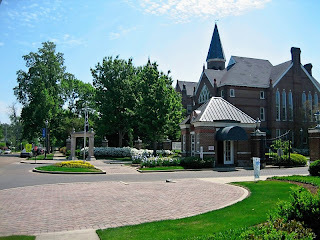 Their parish offers a church nursery and Liturgy of the Word for Children and cryrooms. If a crying child is not removed by his/her parent, the usher will encourage them to do so. While not specifically advocating any particular style of music, the authors note that the people they are trying to reach don't turn on organ music in their cars. They point out that vestments may be very important to church people but non-churchgoers don't care about them and don't decide whether or not to attend church based on the style and quality of the priests' vestments, or other decorations in the church. The book advocates creating a vision and mission statement for your parish and then evaluating all programs, activities etc. to see how they fit into that vision and mission, and stopping them if they don't. It reminds us that churches are in the communication business and advocates a well-done internet presence and making sure the the messages they are trying to communicate are clear. One thing I really wish the average preacher would do that was suggested was to summarize your homily in one sentence about what you want them to know and then give a once sentence suggested activity. For example: What do you want them to know? God wants you to trust him. What do you want them to do? Spend six minutes a day in the coming week in quiet time/prayer time to demonstrate and strengthen your trust. Usually those trying to reach unchurched Catholics mention the life-passage moments--baptism, marriage, funerals--as times that can give you the opportunity to reach those who otherwise do not darken your doors. While not talking about weddings, this book does talk about Baptism, First Communion, Confirmation and funerals. While the authors do not advocate holding the sacraments hostage to lousy (or even good) preparation programs, they sound like funeral masses are more trouble for them than they are worth to the non-practicing Catholic. I really don't like that attitude, though I can see their point. The main complaint I have about this book is that it seems heavy on the slogans and low on the particulars. I'm sure that's by design but there are ideas I would like to have seen fleshed out a bit more. You can read more about the parish at their website. I'd like the thank the publisher for making a review copy available at NetGalley. Grade: B. Question of the week: Do you accept books for review only from publishers or do you accept book review requests from authors as well? I don't care who asks me to review a book; I care about the book itself. If you want me to review your book, whether you are a publisher, an author or a publicist, feel free to email me. That being said, I've learned to be picky about self-published books and accept far fewer of them than I have in the past. Still, if it sounds interesting, I'm apt to give it a shot; after all it isn't costing me anything but time and I can quit reading at any time. Here is a beautiful retelling of the birth of Jesus on that joyous night in Bethlehem so long ago. 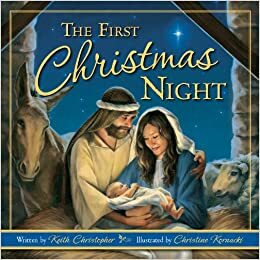 The poem begins with the arrival of Mary and Joseph in Bethlehem through Christ's birth, the angels' appearance to the shepherds, and the visit by the Wise Men. The simple, yet elegant, verses will appeal to little ones and are accompanied by the rich oil illustrations of Christine Kornacki. Ages 4-8. Thanks to all who entered, and I'll bet a Google search will help you find other giveaways! So what about this week? 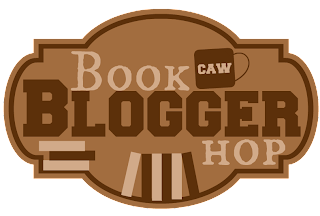 Well, I did 7 Quick Takes, I reviewed a Catholic novel, participated in the Book Blogger Hop, and reviewed a financial planning book,. My giveaway of the Christmas children's book ends Sunday night so get your entries in! 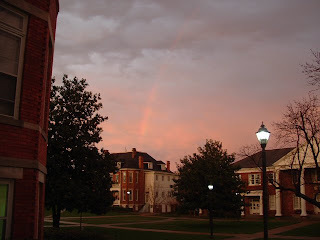 Last night I attended an alumni event for my college, Mississippi University for Women. It was neat to talk to a bunch of women who share a love for a great school. 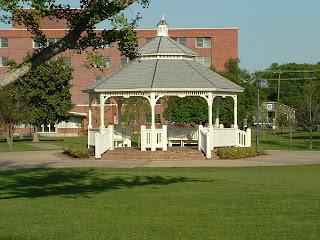 Isn't the campus beautiful? It was interesting to hear the President of the University talk about enrollment and such. They had more nursing graduates last year than they had graduates the year I graduated. However, the "face" of the students has changed; while most of us were traditional college-aged women, today they have many more adult learners. Well, fall has arrived; my heat kicked on this morning. Since I like warm weather, that is not a good thing. I haven't been doing the thankful thing on facebook but I do have so many things to be thankful for, starting with my family. I have to shake my head at all the surprise and outrage regarding Obamacare. If you aren't going to charge people with pre-existing conditions more, if you are going to cover all people for all things, the average person's bill is going to go up; it is the only mathematically possible scenario. Even those subsidies have to come from somewhere and it is either us (the average citizen) or the printing press. My shoulder is getting my better through physical therapy. I need to join a gym or something to work some muscles I've really forgotten I have. 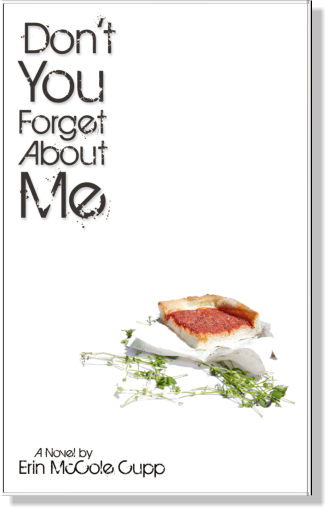 I've got several book reviews that may interest the 7QT crowd: Don't You Forget About Me is Catholic fiction. The Smart Woman's Guide to Planning for Retirement has some good ideas.The Faith Understood is an introduction to Catholic theology. Mary Catherine Whelihan made it out of Walkerville alive once before. Can she pull it off this time? Bullies, sexual harassment, finding a corpse in the local creek…. Cate’s childhood in 1980s Walkerville was murder! So what could possibly tempt her to return? A cryptic email from Eugene Marcasian, MD, her grade school crush, might do the trick. Can Cate and Gene find the cause of the mysterious illness afflicting nearly all of the girls in their graduating class, including Cate herself? Or will corporate bullies continue to take down anyone who gets in their way? More importantly, can Cate stay alive long enough to get one more slice of tomato pie? Not too far into this book there was a mention of health problems being treated by birth control pills. A bit later there was a reference to something causing health problems in a bunch of women. Considering where I got this book (Full Quiver Publishers) I rolled my eyes and figured I was about to quit reading some diatribe about birth control pills causing all sorts of health problems. I was wrong. Birth control pills are not the villain in the story, though a drug company is. There were a lot of things I liked about the book. I really related to Mary Catherine. She was a very bright girl who never fit into her home town. She's the girl the other kids picked on, the one who had few if any real friends, the one who left town and never looked back. She never realized why the other kids didn't like her but on this trip back one girl does tell her--and yes, I could see that in myself as well. If a characteristic of a good writer is getting readers to see themselves in characters, Erin Cupp nailed me in Mary Catherine. Cate now has good friends and a satisfying life, and she has never had any desire to return to her hometown. However, as noted above, her grade school crush, who also never quite fit in with the others, piques her interest and when a principal who took Cate under her wings dies unexpectedly, Cate returns to her hometown to face her past. She and Gene set out to learn not only why the principal died but also why so many of their classmates suffer from reproductive ills. I'm not really a mystery/thriller kind of reader and when I do read them they tend to have a religions bent. I often say they seem unrealistic, and yes, this one does too, but it was a good, well-written read. It is Catholic fiction. One problem I have with it is that Gene mentions that his sister began suffering with gynecological ills and the doctor, going against their faith, prescribed birth control pills. That is, from everything I've read, an inaccurate statement of Catholic teaching on birth control pills. If his sister was celibate, there is absolutely no problem with taking birth control pills. If she was not, and she was taking them for some medical reason other than contraception, they are still allowed. Whether the pills are the best or an appropriate treatment for a particular problem is a discussion I'll leave to those more knowledgeable than I am. Other than that line, I found the religious elements well integrated into the story. Cate is a fallen-away Catholic who during the course of this story sees true faith in action. She also sees folks who are in church every week who are almost as fallen-away as she is. Cate does not suddenly return to the Church of her youth as a result of events of the book. Gene gives a great example of someone who has clung to his faith even though it could be hard at times. One thing I did not like about the book is that the ending is clearly a set-up for another book. This story is told, there is a satisfying ending, and then we learn about another bad guy out there watching Cate. I have no problem with series books. I have no problem with reusing characters. I don't even have a problem with including a teaser chapter for your next book at the back of this one. I don't like it at all when books end with cliff-hangers. I'd like to thank the publisher for providing a complimentary review copy. Grade: B. Question of the week: Do you post your book reviews as soon as you have completed the book or do you wait a few days? I try to write the review as soon after finishing the book as I can. Otherwise I tend to forget details as I go on to the next book. Since I read a lot of tour books and ARCs I don't always publish the reviews as soon as I write them. As of the time I'm writing this, I have seventeen book reviews I've written by have not published. That is on the high side since many of them are Christmas romances, short quick reads. What does a woman want to do when she retires? Travel? Pursue hobbies? Spend time with friends and family? We all have dreams about what those days will be like. But when it comes to turning those dreams into reality, women's retirement confidence and know-how is low. According to a 2012 survey, 92 percent of women of all ages in this country don't feel they're educated enough to reach their retirement savings goals. 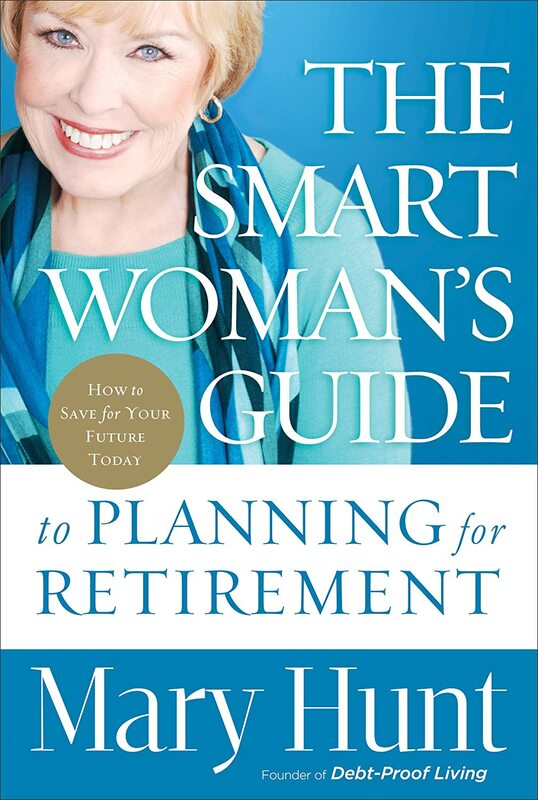 For the woman who doesn't know where to start or would like a knowledgeable guide who speaks her language, financial expert Mary Hunt offers a comprehensive but approachable resource for saving and planning for retirement. Whether she feels entitled to retire at age 65, hopes she'll be able to stop working someday, or is convinced she'll never be able to retire, every woman will find real help in these pages. With her signature no-nonsense, energetic style, Hunt assures women that it's only too late if they don't start now. She clearly covers every aspect of retirement planning during every season of a woman's life, giving women the confidence they need to shape their futures. Unfortunately, this is not the book that is going to tell you how you can live it up today and still manage to have money in the future. It is another one of those control your expenses and save your money books. While aimed at women, it has advice that both men and women should follow. Mary Hunt recommends getting out of debt, saving regularly, buying half the house you can afford and paying the house off early. She recommends maxing out your Roth IRA before putting more money than necessary to gain an employer match in a 401k plan because of the high fees associated with 401k plans. While most of the book will appeal to anyone looking for a basic financial planning information., there is one chapter that discusses financial planning in relation to the Bible, particularly as it relates to the parable of the talents. There are also small references to God in other places in the book. If you are looking for a book that honors Christian religious beliefs while discussing financial planning, this may appeal to you. In general the book is short, easy to read, and is written in a conversational style. It manages to convey basic information without assuming the reader is stupid. Broke, pregnant and deserted by her boyfriend, Maddie Barrymore swerves to avoid a kitten while driving in a Wisconsin blizzard--and her life takes another turn. Like Puss in Boots, she stays in an empty house. She has the baby, the kitten, gets a job and a degree...yet every day she's ready to flee if the real owner shows up. This is one I debated about whether I should review. I decided that I liked it enough to finish it, so yes, I'll review it. In short, it is a sweet story but one that heaped implausibility on top of implausibility. The writing was pretty much on par for a cheap ebook romance. Still, I did choose to finish it,and I have plenty of other things I could be reading, so it wasn't a really bad read either. Animal lovers will enjoy the subplot about the dog searching for his owner, but to me it just seemed tacked on. 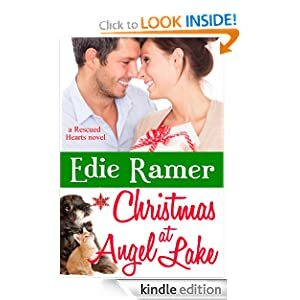 The author, Edie Ramer must be an animal lover as she is donating part of the proceeds from the sale of the book to The Washington County Humane Society in Wisconsin. In the book Maddie reveals her inmost self to Logan via the stories she tells, but always in the guise of someone else. It was an interesting technique. For those interested, there is one rather graphic bedroom scene and several references to male arousal. I like mail-order bride stories so I grabbed this one when I saw it on NetGalley. Everett, as noted above, has sent for mail order brides in the past, but they have jilted him, or died. When a friend tries to fix him up with Julia, he's convinced it won't work--she is so pretty and so cultured, and he's not. Julia has basically run away from home. Her rich father wants her to marry for money--and her fiance raped her. Needless to say, the physical side of marriage doesn't appeal to her very much. The book is Christian fiction and part of the resolution of the relationship includes a relationship with Christ. It also includes the Christian (Everett) realizing that he isn't always as Christ-like as he would like to be. Like many romance novels, this one leaves something to be desired in the realism department but I enjoyed watching Julia and Everett get their happily ever after. There was nothing deep or profound here, just an enjoyable easy read. Grade: B. This week our question of the week is: What is your favorite non-blog Catholic website? My answer: The one I use most often is Universalis, which is an on-line Liturgy of the Hours. What did I write about this week? I reviewed an introduction to Catholic theology. I participated in Seven Quick Takes and I'm giving away a lovely children's Christmas book. If you check my sidebar you'll see I reviewed a couple of romance novels and a novel in the "women's fiction" category. Discover the basic principles of authentic biblical interpretation. Learn why the Magisterium is the only way to correctly interpret the Bible and the writings of the Church fathers, doctors, and saints. Find out why Scripture, Tradition, and the Magisterium are the only three legs of the theological tripod that preserves the whole truth about God. See why faith and reason, science and theology, the natural and the supernatural are always agreeable. Explore the Incarnation and its primary Christological heresies that threatened the early Church. Unlock one of the most misunderstood areas of Catholic theology in the person of Mary. Unravel the mystery of eschatology—the "last things"—judgment, purgatory, hell, and heaven. Great for college students, adult faith formation programs, and motivated Catholics aspiring to learn more about their faith. Topics in the book include the relationship between faith and reason, an introduction to Sacred Scriptures which reviews the contents of the official canon, and briefly discusses the deuterocanonical and apocryphal books, as well as examining the topic of inspiration as related to Scripture. The next topic addressed is the interpretation of Scripture. The section on Divine Revelation covers revelation through Scripture, through Sacred Tradition, and through the Magesterium and Pope. Papal Infallibility is also covered. The Trinity is addressed, as is sin. A chapter I found especially interesting was on the Incarnation and Redemption, which covered a number of heresies and their erroneous beliefs. The book concludes with a chapter on Mary and one on Eschatology--the branch of theology that focuses on the "last things" that take place beginning with our bodily death. The book is easy to read and reads more like a textbook than a devotional. It is a book for people looking for "meat" -- what do we believe and why, without the messiness of feelings or personal experiences of the reader or author. Mark Zia, S.T.D., received a doctorate in Sacred Theology from the Pontifical University of the Holy Cross, Rome, Italy. He is associate professor of Theology and director of Academic Enrichment Programs at Benedictine College in Atchison, Kansas. He and his wife Julia are the parents of six children. This review was written as part of the Catholic book reviewer program from The Catholic Company. Visit The Catholic Company to find more information on The Faith Understood. The Catholic Company is the best resource for all your seasonal needs such as First Communion gifts as well as ideas and gifts for the special papal Year of Faith. Remembering the letter that says, “You are a remarkable woman and you deserve all the happiness, contentment, and love in the world. 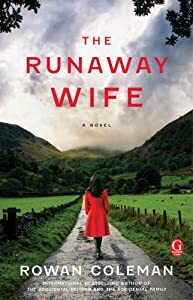 I, for one, know that I have never met anyone quite like you,” Rose Pritchard turns up on the doorstep of a B&B in England’s lake district. It is her last resort, as she and her seven-year-old daughter Maddie have left everything behind. They have come to the village of Millthwaite in search of the person who once offered Rose hope. Almost immediately Rose wonders if she’s made a terrible mistake—if she’s chasing a dream—but she knows in her heart that she cannot go back. She’s been given a second chance—at life, and love—but will she have the courage to take it? Blending wit, insight, and emotion with a sensitive touch and a warm dose of humor, Rowan Cowan has crafted a poignant novel that will linger with you long after the final page has been turned. It is so easy to see where other people are doing it wrong. Why does she let him treat her like that? Why does he drink so much? Why does he chase all those loose women? Why does she dress like a tramp? What do people say about me? What do I do that "everyone" sees and shakes their head over? Rose is a woman who has been emotionally abused for years by her husband. But one night she had enough and fled. Did she head to the local women's shelter, or the police station or any such place? No, she follows a dream; she goes looking for a man she met once. In the process she finds the father who abandoned her years ago. Her new life is wonderful; she has friends, she has men interested in her, she is creating a new relationship with her father. Can it last? Should it last? This is one of those books that is much more about the characters than about the plot. Rose could easily see what was wrong in the lives of those in her path; this book is about her learning what is wrong in her life and putting it to right. It is the story of a woman who is learning what love is and reaching out to gain it in her life; however it is not a romance novel. The other character who fascinated me was Rose's daughter, Maddie. Maddie is different that other children. She is very bright and very socially inept. She doesn't like change. She is a picky eater. My "mother of autistic child" radar went off right away predicting that autism would be Maddie's diagnosis. In this case Maddie was not diagnosed; rather, she was loved and cherished for who she was and it became obvious that what happened at home had far more effect on her than her mother ever realized. If it is important to you, there are references to intimate activity but no actual intimate scenes.